The True Gossip Home / THE JONAS BROTHERS AND MILEY PLAYING FOR OBAMA? THE JONAS BROTHERS AND MILEY PLAYING FOR OBAMA? 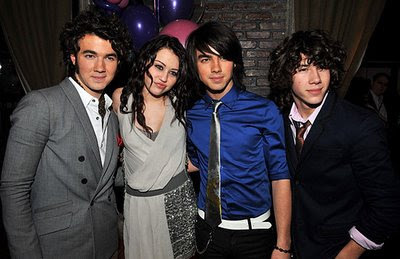 The Jonas Brothers and possibly Miley Cyrus were invited to play at a children's party for the Inauguration of Obama on January 19th at the Verizon Center in Washington, D.C.
Sasha and Malia Obama are fans of the Jonas Brothers, and they even got to play ping pong with the boys!